Colonel Gail S. Halvorsen, or, “The Berlin Candy Bomber” served as a catalyst for this operation. As America geared up for the looming world war, Halvorsen was awestruck with the planes he saw flying while he labored on his father’s sugar beet farm in Tremonton, Utah. With a dream for flight, Halvorsen applied for and was accepted into a pilot-training program. The attack on Pearl Harbor prompted him to join the Army Air Corps, and he trained on fighters with the Royal Air Force. Reassigned to military transport service, Halvorsen remained in the service at war’s end. He was flying C-74 Globemasters and C-54 Skymasters out of Mobile, AL, when word came in June 1948 that the Soviet Union had blockaded West Berlin. 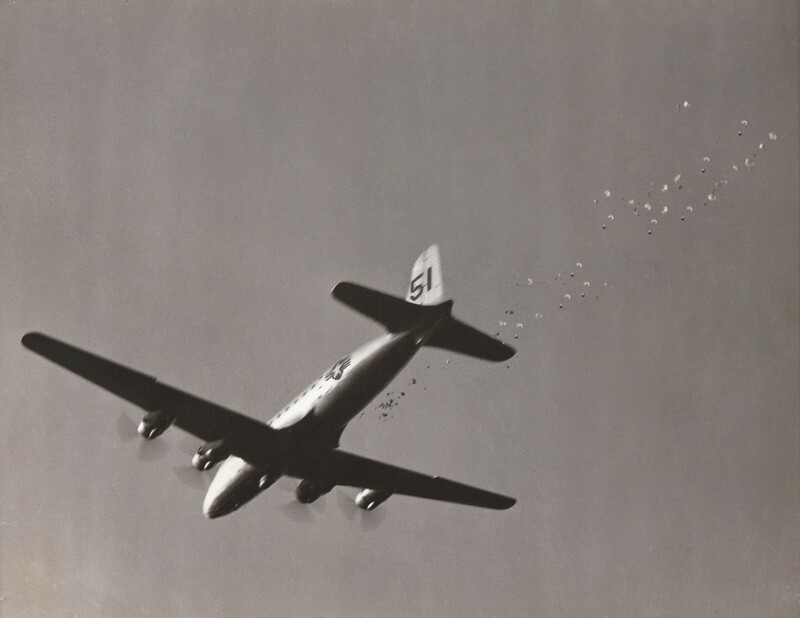 During the 15-month airlift (Operation Vittles), American and British pilots delivered more than 2 million tons of supplies to the city. But it was Halvorsen’s decision to airdrop candy to children (Operation Little Vittles) that clinched an ideological battle and earned him the lasting affection of a free West Berlin. Today, Halvorsen is affectionately known by Berliners and many around the world as the Candy bomber (“Rosinenbomber”), Uncle Wiggly Wings (“Onkel Wackelflugel”) and the Chocolate Pilot.